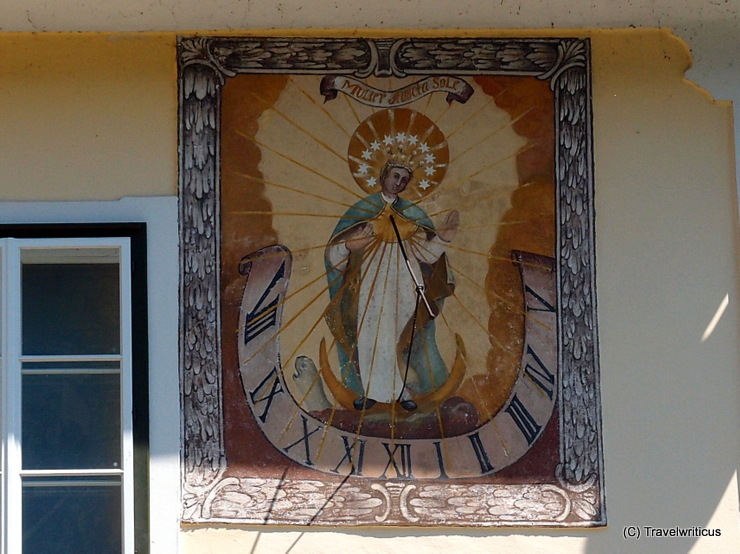 This sundial is placed on a wall of the Museum Hallstatt. The museum is established in Hallstatt, a world heritage site in Austria. It shows the 2nd largest collection of pieces related to the Iron Age Hallstatt culture in Austria. This entry was posted in Sundials, World Heritage Sites and tagged Austria, Hallstatt, Salzkammergut, Upper Austria by Travelwriticus. Bookmark the permalink.